Heading on a business trip or on holiday? Or do you just want to get home quickly after landing at Munich airport? It couldn’t be simpler with DriveNow carsharing! There’s no lugging suitcases and bags about, no queuing for a taxi and no need to book in advance! 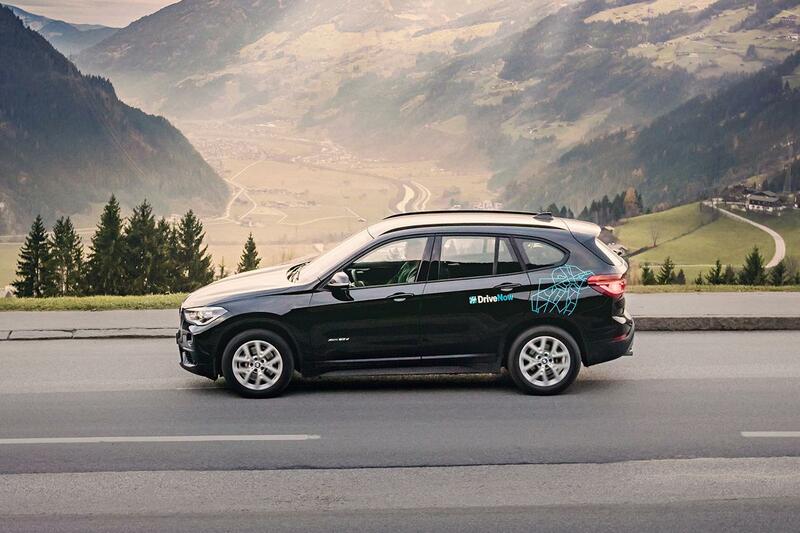 DriveNow makes travelling to and from Munich airport easy and affordable. All you need to do is find a nearby DriveNow car, unlock it and make your way to or from the airport! It’s that quick and affordable! How does an airport transfer work? 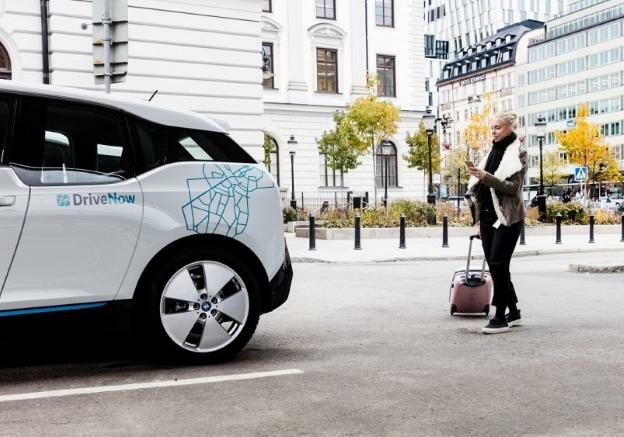 Before starting your DriveNow journey to Munich airport, take a look at our map of Munich’s DriveNow Zone to see which DriveNow cars are around and about. Choose the perfect car for you and unlock it using the DriveNow app. Your car rental has begun. Jump in, enter your PIN and start up the engine. Now drive to Munich airport and park in our designated parking area. The rental cost is calculated by the minute – one minute costs 33 cents*. 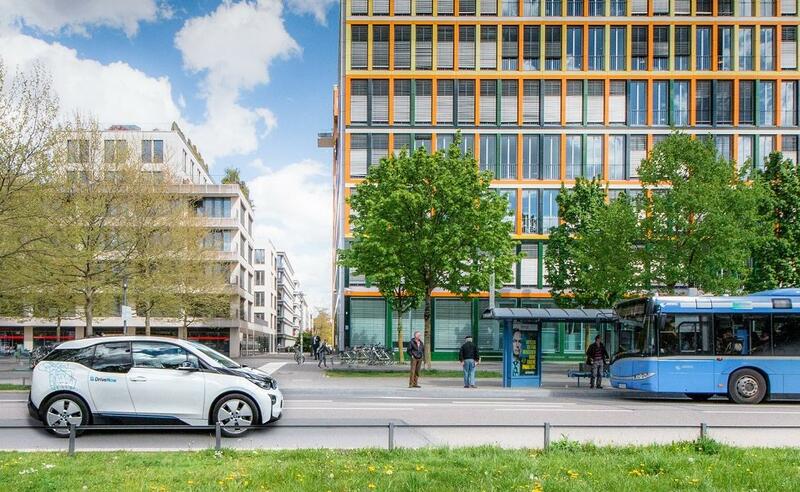 Our DriveNow cars are available all throughout Munich city centre. To get to Munich airport, first choose the car you’d like to drive. Once at the airport, follow the signs to Munich airport’s Terminal 2 until you get to parking area P20 – this area is reserved for DriveNow cars. Drive into the car park – the barriers at P20 open automatically – and then follow the ‘DriveNow’ signs, which will take you to the carsharing zone on level 1. The barriers here will also open for you straight away. You can park your car here for €14. Climb out, get your luggage and head off to the check-in desk! You don’t need to worry about anything else while you’re away. 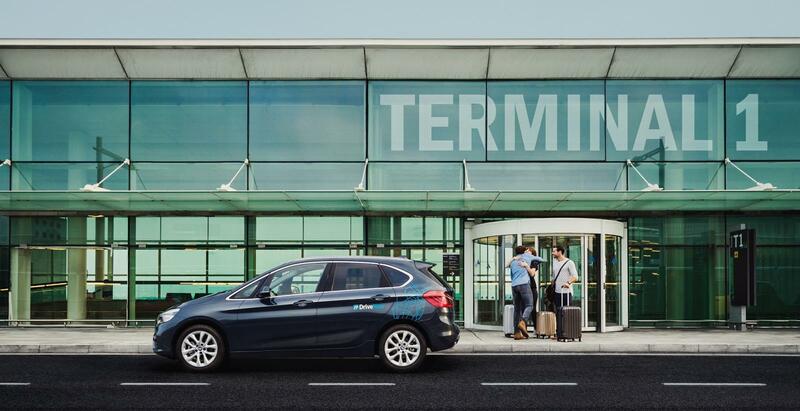 The DriveNow Airport transfer is an enjoyable and quick way of getting from Munich city centre to the airport. The airport is less than 25 miles away and you can get there in 30 minutes via the A9 and the A92. Carsharing with DriveNow is a more comfortable version of a shuttle bus. Various car models are available to you at Munich airport for an airport transfer. For instance you can choose between the newest BMW or a MINI. Every car comes complete with a satnav.